60079-7 and EN-IEC 60079-31 certified by the independent testing institute ISSeP. The certificates cover zone 1 and zone 2 for hazardous areas. Gas groups II A, II B and II C and temperature classes T6-T1. Dust group Ex tb IIIC zone 21.
elements and control devices. 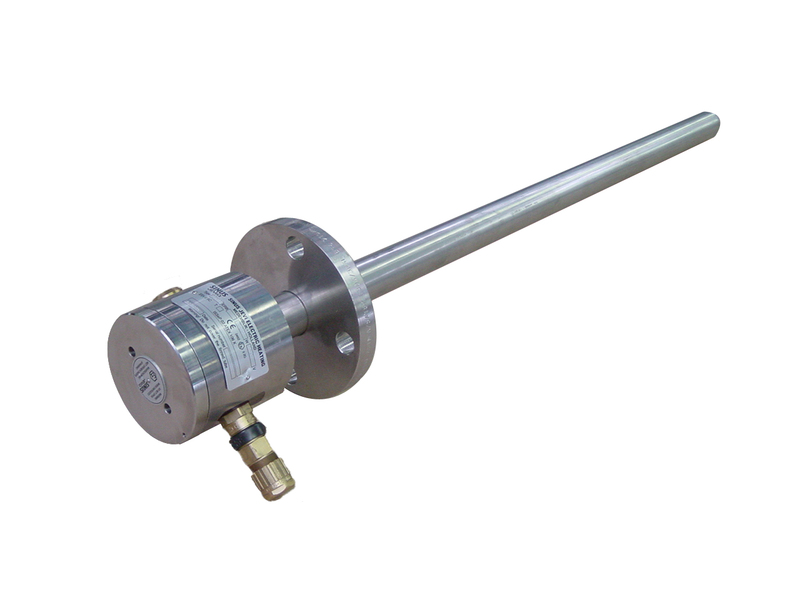 Several types of immersion heaters, flanged or screwed, have been described on the next pages. The screwed types for dimensions up to 3”. The terminal enclosures have a IP66 degree of protection. All heaters are standard internal wired on terminals. With earth, screwed terminal cover and finished in epoxy paint. Enclosure with a maximum of 3 cable entries (M20 x 1.5). Suitable for heating of fluids both liquids and gases and also solids. The heater consists of a certified flameproof enclosure D-8530. The flame-proof enclosure has been built up out of a seamless body, a top cover and base plate. Each cover and base plate has been provided with 6 screw thread windings with a total length of 18 mm. The connection length of the threaded joint between cover or base plate and body should always be 5 thread windings minimum. The cover has been locked with an M4 screw and the base plate with an M6 screw. In the base plate of the enclosure spacer tubes can be welded in which the heating elements are brazed or welded. The heater range D-8530 type EX-DS and EX-FS consist of a metal tube (casing) which encloses a ceramic heating element with high quality 80/20 Nickel Chrome resistance wire. Diameter of the tubes are from Ø30mm till Ø54mm. Secured by either brazing or welding depending upon the process application. * A wide range of possibilities in choice of materials for the metal tube (all sorts of alloys, strengths and thicknesses) depending upon the process application. Standard the enclosure is coated with two layers, a zinc silicate primer and a top coating. Other coatingsystems on request. 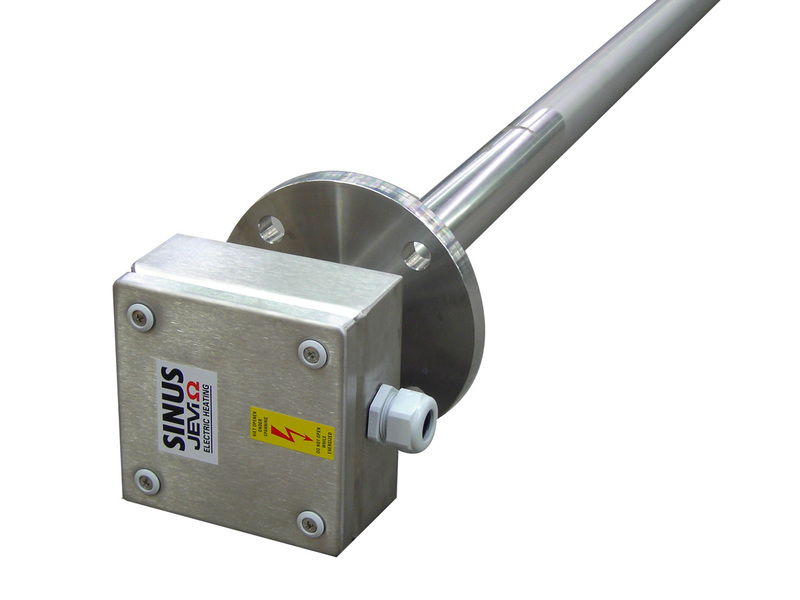 Flame-proof immersion heaters with retractable ceramic core elements. Single or multi core heaters. For horizontal installation (vertical installation available on request). The ceramic core elements can be withdrawn for inspection or replacement without having to drain the system. – The maximum allowable voltage is 690 Volt. 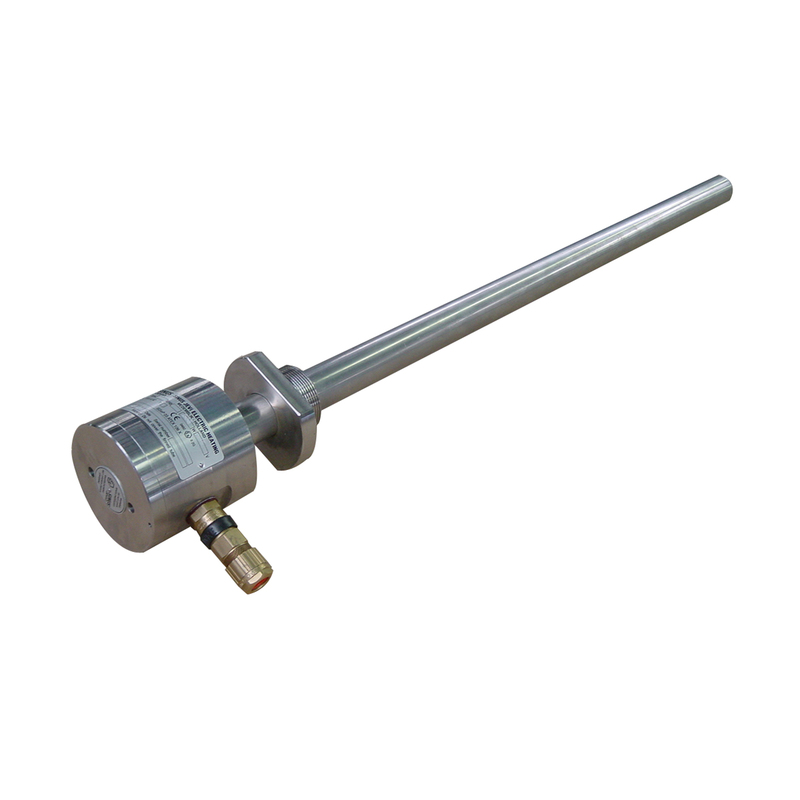 The immersion heaters are available with flange connection as well as with a screw plug.